Joyetech is the brand of assured quality products. After its success of the eVic VT, Joyetech is introducing its latest temperature control box mod, the eVic-VTC MINI Box MOD. Any takers? Or will you choose any one of the Box MODs below? Get Cloupor GT 80W ONLY $59.9 at AVE40! A product that brings Joyetech up to the next level. Get Joyetech eVic-VT 60W ONLY $69.9 at AVE40! Less power and e-liquid consumption will also be a plus. Get Kanger Kbox for ONLY $34.5 at AVE40! Fires down to 0.4 ohm. Get Invader Mini 50W mod for only $52.50!! [Coupon]Vladding Re Full Kit:20% Launch Discount For You! By the magic of the internet the specs and features of Joyetech eVic VTC MINI can now be found virtually everywhere in the vaping community. Temperature control, massive HD OLED display, single battery slot, magnetic cover, pre-installed .2 ohm Ni-200 coil and the extra .4 ohm Ti coil… How does it feel like when all these features are compacted in a well machined vape gear, which turns out to be the Joyetech eVic VTC MINI Starter Kit? Let’s find out. The eVic VTC MINI is created with its upgradable firmware. This is an interesting advantage because you can upgrade it to stay at the forefront of the vaping technology. 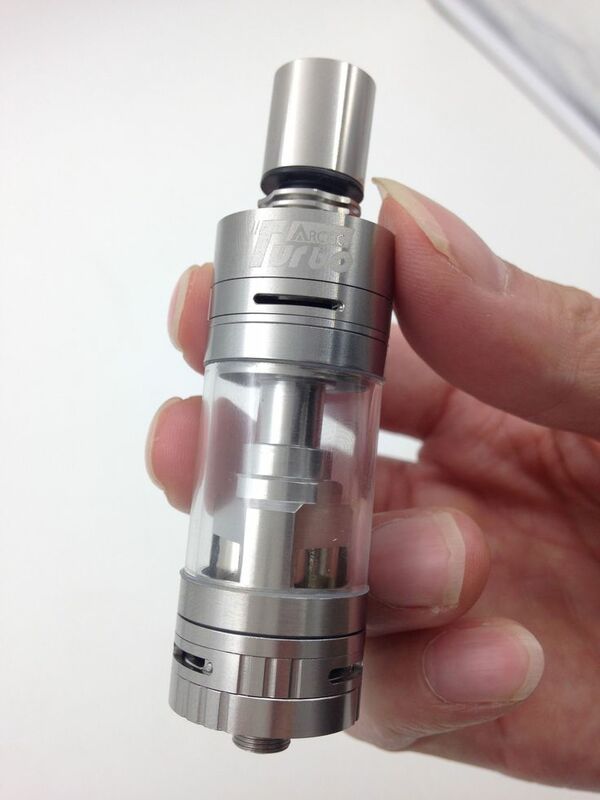 Apart from this, it reminds me of the Kanger Subox Mini, only that the eVic VTC MINI is a temperature control device. This is indeed a plus. As a well-machined vape gear, eVic VTC MINI has resilient finish all over the body that is not easy to leave scratches. 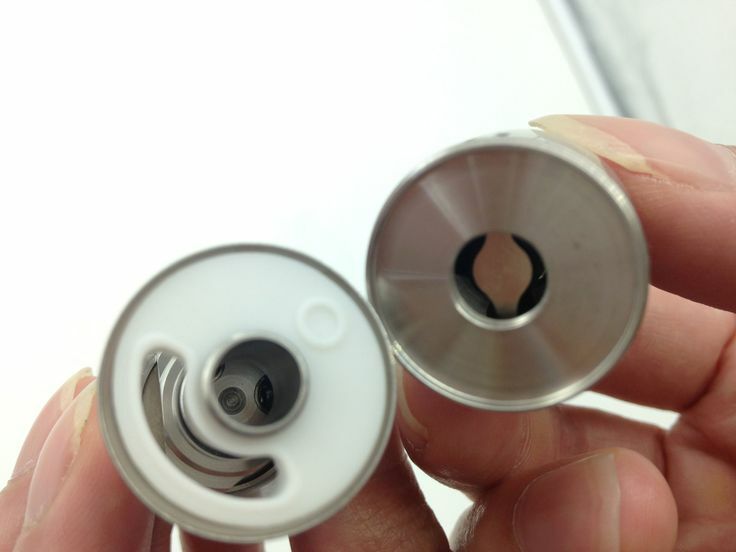 The magnetic battery cover is also well designed and strong enough to hold tight the battery inside of the MOD. When you start vaping with the eVic VTC MINI, the two little buttons under the screen make it more convenient to navigate through the three modes in the menu of the HD OLED screen. Also, springs are not only loaded for the thread, they can be found in the battery contact of the slot when you open the battery cap. Putting in the battery is made easier with the spring-loaded contact. Ready to give it a go? 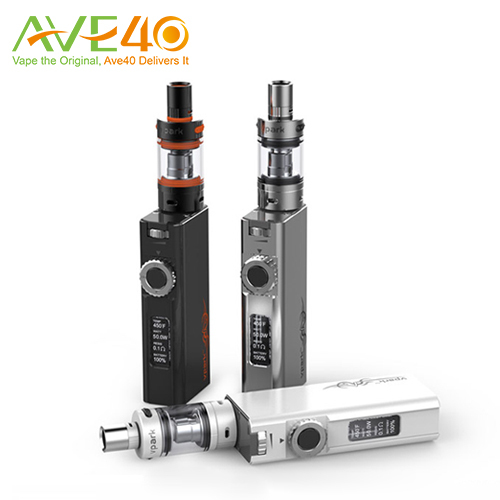 We at Ave40 carry the eVic VTC MINI MOD and the eVic VTC MINI Full Kit. Use the coupon code AVEFORTY10 to save $10, and enjoy free shipping over $50! To place bulk orders, please email to info@ave40.com. The code is valid until 15th Oct. 2015. Please stick to one topic, and update that as necessary. Surely will. Thanks for the kind reminder! Hey folks, Ave40 Drop Ship Program is launched! In this program, you can sell directly to your customers whatever vape gears that Ave40 has to offer. Items ordered will be shipped directly from Ave40 warehouse to your end customers. And it has competitive prices! For detailed guidance and information, please visit THIS LINK at Ave40.com. Please stick to this one topic, and update that as necessary. 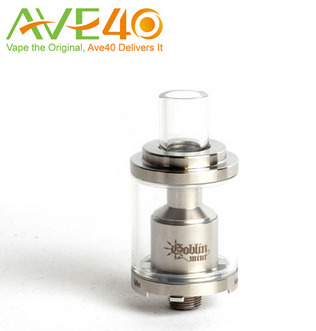 Hey folks, being in the e-cig market for years, we at Ave40 carry a wide line of vape gears as a wholesaler and retailer. And today here’s a list of tanks and RBAs and their basic facts for your choices. If you find them intriguing, we offer free shipping and store credit for you to strike a bargain. If not, why not check out our online shop to meet our huge selection of tanks? I’m sure there must be one that meets your vaping need. Consumers will receive 100 reward points equivalent to US$5 to use on your order. No order minimums. No shipping fees. Click to inquire Discounts for Bulk Orders if you are a reseller, or drop a email to info@ave40.com. I didn’t see any give away??? Hey, giveaway coming soon~ Just stay posted. These box mods have what it takes to be an eye catcher. Today we introduce the Vpark V-Box premium kits. They immediately remind me of the Kanger Subox Mini. I think if you like the Kanger Suboxes the Vpark V-Box premium kits is a boxier option to the Kanger’s powerhouse. The major differences between the 50W and 30W versions are the temp control (200-600°F and as low as 0.1Ω) which is just for the 50W version. However, the 30W version is the 36mm shorter than its sibling, making it extremely portable and pocket-friendly. Click to check more specs and features of the Vpark V-Box 30 VW Premium Kit and the Vpark V-Box50T 50W TC Premium Kit. Hey folks, made a video of the Vpark V-Box 30W Premium Kit. Gosh it’s just small, very convenient to carry! But great vapor for a 30W mod. Why not see it for yourself? Looking for a Temp Control MOD? 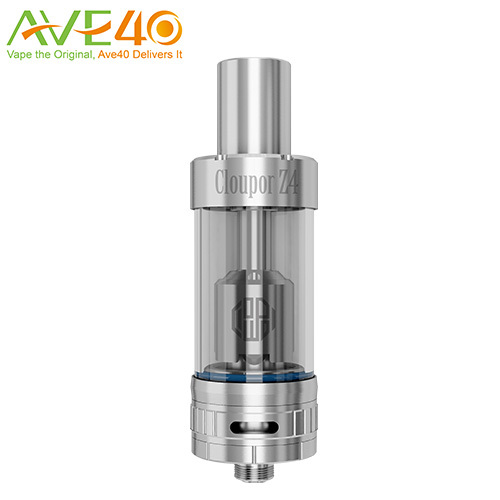 We Just Added a New Model from Cloupor, the Cloupor Mini Plus 50W. The Cloupor Mini Plus TC Box Mod may look just like the original Cloupor Mini but it has some new and important updates. It’s packing more power with a variable wattage output that can be adjusted from 1 all the way up to 50 watts. And since temperature control is the latest craze they have also added a temperature control feature that can be set between 200 and 600 degrees. Here’s a lovely pic of it. Btw, we are currently hosting a giveaway of the Cloupor Mini Plus and Starre Pro Sub Ohm Tank across our social media, facebook and tweeter. So if you like just check it out. Lastly, here’s the coupon AVE4010 to save you 10% site-wide at www.ave40.com. If you are vendor please drop us an email to info@ave40.com for bulk orders! Here’s a quick update for a new device that we carry. John Manzione at Spinfuel eMagazine had once made an in-depth review for the Baby One 80W Tube MOD. It’s a product not known to many, but it is manufactured for the use by early vapers because its wattage, battery capacity and amperage rates do a good job with some sub-ohm tanks, especially with the Kanger SubTank series. The new Baby One 80W box mod has ananti-scratch finish and gold-plated thread for better usage and performance. Don’t forget to use this Coupon Code BABYONE10 and save $10 on the Baby One 80W Tube MOD. Just $24.99for a 80W Tube MOD! Email us to info@ave40.com for a wholesale price! Hi folks! Made a short video for the eGo ONE VT to share. Honestly, it is the most easy-to-use temp control gear I’ve ever tried. Don’t even need an OLED screen to show any reading, and you let the tongue tell you how good the vapor and taste is! Last but not least, no dry hit or burnt taste at all! Don’t you think? 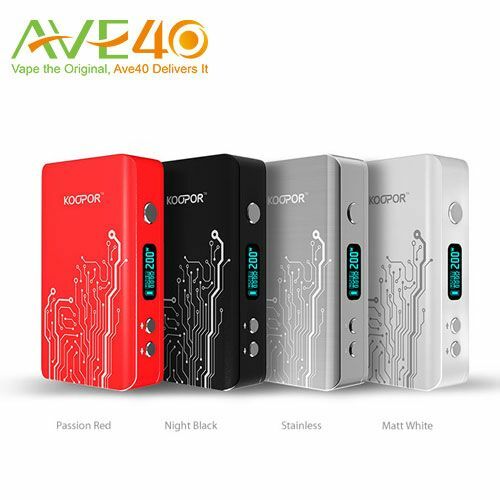 Koopor Plus Box Mod is in full stock now at AVE40!!! Place your order with us to see how fantastic this mod can perform. It is now available in 4 colors, passion red, night black, stainless steel and matt white. 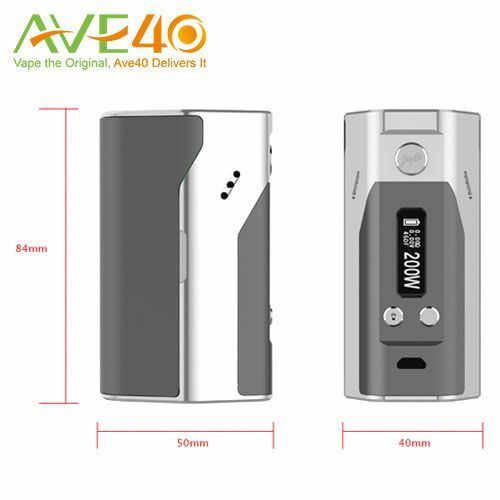 For your own use, please purchase it directly at https://www.ave40.com/store/koopor-plus-200w-tc-box-mod.html. Your order will be shipped within 3 days with the shipping for free. 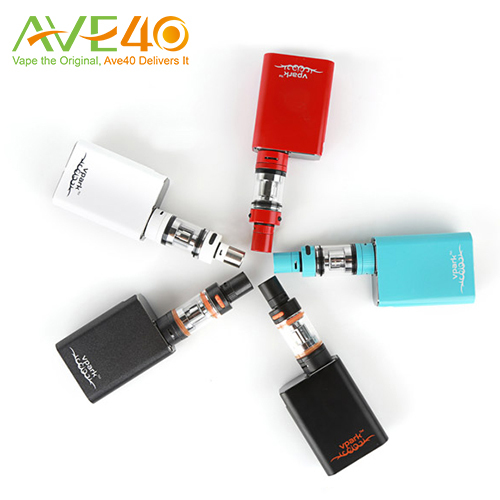 If you are an ecig shop owner wanting to do wholesaling business with us, please drop us an email at info@ave40.com. 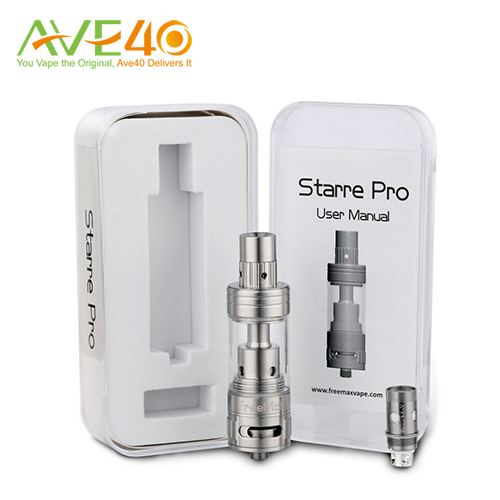 AVE40 will provide you with the most competitive price and the fastest shipping. Now we are having something new here. The Horizon Arctic Turbo Sub Ohm Tank. Here’s what’s new about it. 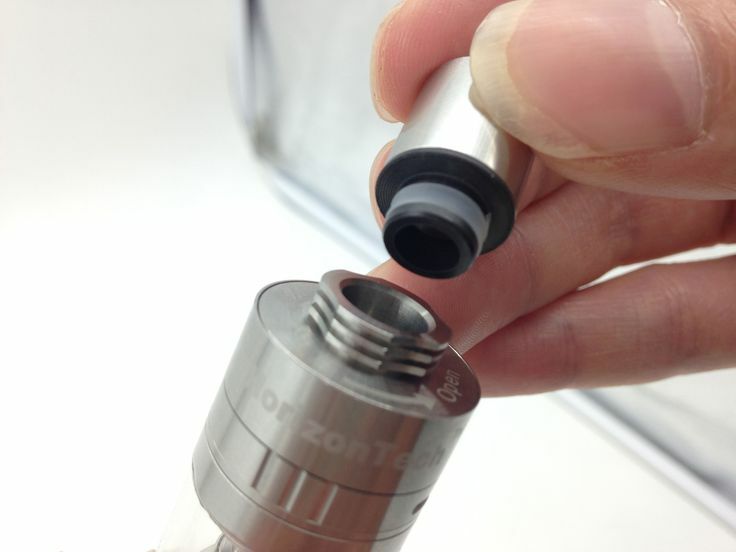 It has a three-slot adjustable airflow valve at the bottom and an auxiliary top airflow that helps maximize the flow of air and thus, the direct lung vaping experience. Underneath the stealth delrin drip tip you’ll find three layers of fins to minimize heat transfer. As you spin the fins to open the cap, you’ll see that the Arctic Turbo lives up to its name with a turbine or fan inside the upper base that accelerates the air movement. You can even feel the spin of fan when vaping. 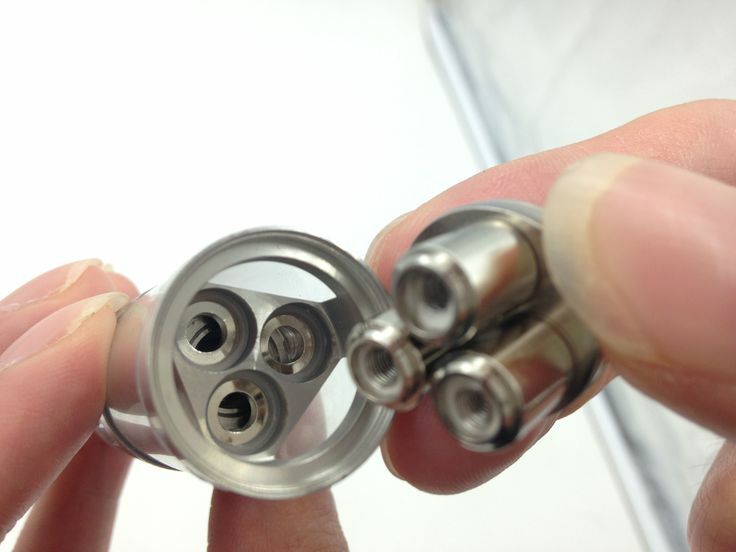 As you open the bottom base, you’ll see the triple dual coils integrated as one sitting in the chamber. With the paralleled design of the sextuplet coil system, each of the dual coil functions independently which means you can adjust the resistance using the two additional coil models or stoppers in the place of the dual coils, thus adjusting the airflow and vapor. Now that we find something new in a sub ohm tank, the coils, the turbine… I bet you’ll have a lot to share after you vape on it. We at Ave40 are now open to take pre-orders. Vendors are welcome to drop us an email to info@ave40.com for wholesale inquiry or register with us a Wholesale Account. We are happy to answer anything you’d like to know. Thinking you might wanna check out this video about the Arctic Turbo to see what’s new about it that makes it different. 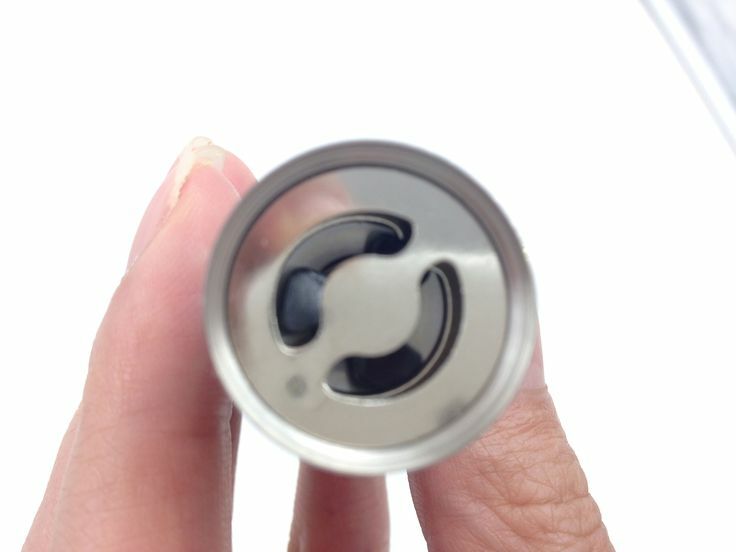 Personally, I like the design of the turbine or fan underneath the drip tip, kinda drawing the air out more quickly. So why not check out the video folk! Your store points will be saved for enjoying more discounts. Kanger’s first integration of a tank with a 60W Mod, and with 10 ml juice capacity and temperature control—finally! Utilizing SSOCC and OCC coils, it’s a versatile box mod that brings durability and performance. The HFDMR (High-Frequency Dynamic Monitoring Resistance) Technology makes it one of the most accurate temperature-control mod ever made. Powered by dual 18650 removable batteries, even at the max. 200W the KOOPOR Plus will last quite a whole day’s vaping. The Wismec Reuleaux becomes one of the few mods that lots of our customers ask for almost the same day we published the Reuleaux in our website. The reason? I guess it’s the DNA200 chip, and its solid build that outstands other cheaper mods with the same chip. Agree? 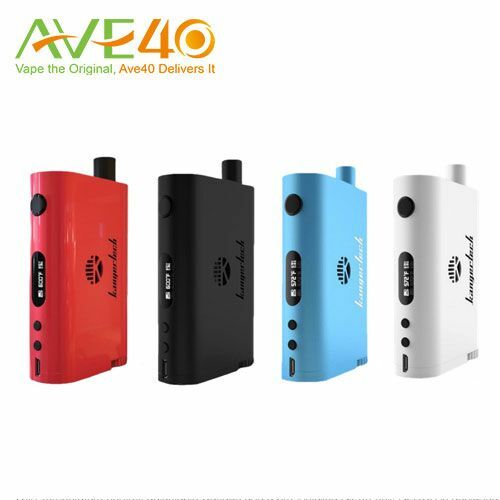 If you would like to view our ecig wholesale price for wholesale or bulk orders, welcome to register with us a wholesale account at www.ave40.com, or directly drop us an email to receive our catalogue. Hello. all. As all we know, eGo One VT is a classical device with ego style. Now this device is promotion at AVE40. 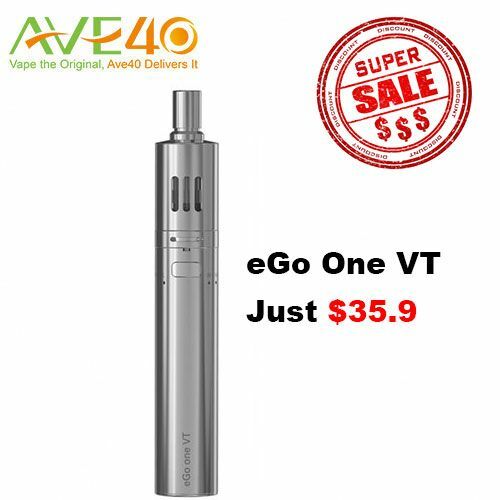 Joyetech eGo ONE VT Starter Kit with variable temperature control and easy-to-use feature is now available as low as $35.99 to benefit all the early vapers! Use our Coupon Code EGOONEVT10 at check out to have 10% off the already low price of $39.99! The code is valid from 5 Nov. to 5 Dec. Get one of yours before the stock runs out!